More than half a million self-managed super funds are now in operation according to recent statistics from APRA. The average balance of an SMSF now exceeds $1 million, with the “average” fund balance now around $1,007,000, and the average balance for an SMSF member is $525,000. It is estimated that the SMSF market will grown to $2.23 trillion by 2033. 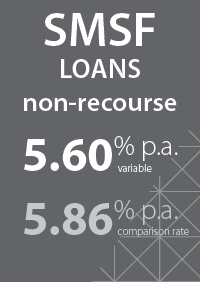 The remarkable growth of SMSFs shows no signs of slowing. With these statistics in mind, there has never been a better time to consider becoming involved in this growing market. Interestingly the first point to make about commercial SMSF lending is that a lot of media coverage is given to SMSF investment in residential assets, but the reality is that SMSF investment in commercial assets is significantly larger. The ATO estimates that in 2013, SMSF Direct Property holdings in residential was just over $20 Billon whereas commercial was just over $60 Billion. And commercial is growing at twice the rate both short and long term. So we should all be thinking about opportunities in commercial lending as the main game in SMSF. One main scenario driving this is particularly worth noting: it’s business owners purchasing the property from which their business operates as an investment. The business owner uses the cash flows of their business to pay off the investment while holding it in the SMSF as a tax beneficial structure. It can make a lot of sense as a reliable investment in the right commercial property that they’re already looking after. We would also highlight a couple of other factors making commercial property particularly suited for SMSFs. First, commercial property yields are generally higher than those generated by residential property. 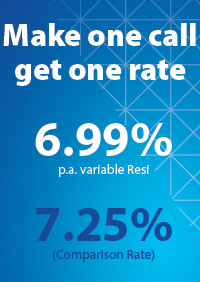 Commercial property delivers average yields of 6%-7% p.a rather than the circa 4% p.a seen for residential property. Secondly, with many people already heavily invested in their own home, commercial property can be an excellent tool to diversify some property investment away from residential assets. As always, of course, this assumes that the quality of the investment is sound. On that last issue potential investors do need to understand that a quality commercial investment is subject to quite a different evaluation process than typical residential investments. It’s a quality value add suggestion you can give to clients, strengthening your relationship, and limiting others from presenting the opportunity. Like much commercial lending, Commercial SMSF is not a product as broadly available from lenders as Residential SMSF is. 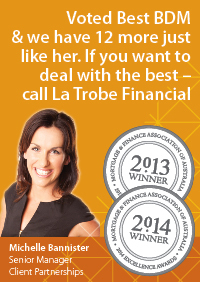 That puts La Trobe Financial into a stand out position outside of the banks. We’re very committed to commercial SMSF long term. Our Commercial SMSF product makes great sense for brokers because we have deep and long term funding for quality commercial assets and because so much residential near prime lending is to self employed and small business operators. These borrowers are our core constituency and we want to service the relationship fully with you as their broker. 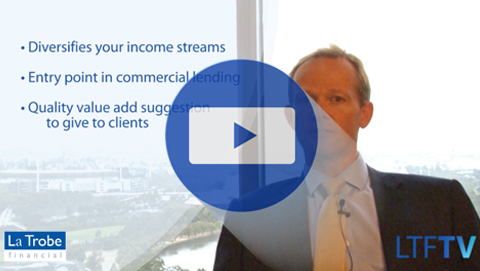 We also think a credit specialist lender is very well positioned to deliver Commercial SMSF lending. A Commercial SMSF deal is exactly the sort of scenario that can get caught in a bank credit department for weeks, even months. 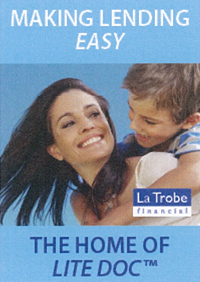 It’s exactly the sort of product that La Trobe Financial can get a broker through so much more easily and directly, without forgoing the legal essentials tailored for the product. we can do prime, clear and credit impaired. 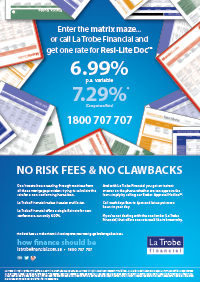 AND La Trobe Financial will never claw back your commission. We’d encourage all brokers who have or want to develop an exposure to small business borrowers to get commercial SMSF into their product suite now. 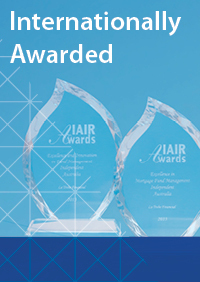 This will enhance your client offering expertise and marketing breadth keeping in mind La Trobe Financial’s product approval speed and ease of dealing. 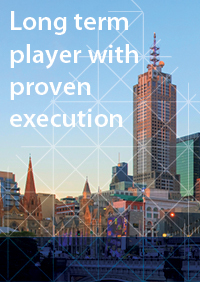 If you’d like to hear more about La Trobe Financial’s broader residential and commercial specialist product range and how we service our broker partners, we have a sales team on the ground nationally that can come to you. 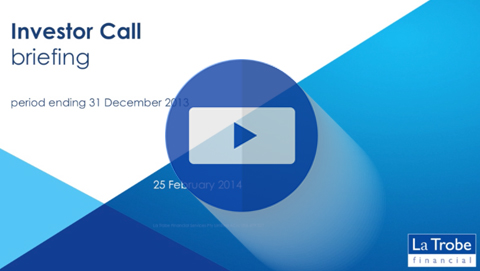 Call our broker hotline on 1800 707 707 and we’ll set you up immediately.